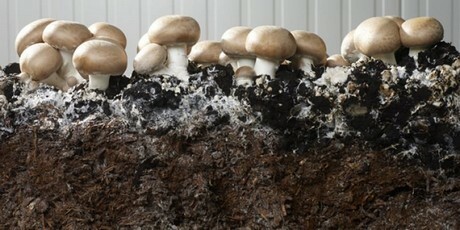 "European scarcity of mushrooms has a positive effect on prices"
Mushrooms are in short supply throughout Europe. Because of the hot summer, the straw we use as a substrate component does not have the usual quality, so the yield is lower than in the past," says Karl-Josef Hortmann, commercial manager and authorized representative of the Deckers Group. The group is a family-owned company with its own farms and two regional marketing companies with a weekly turnover of 400 tonnes of fresh produce. "The sales are good right now. Christmas is traditionally our peak season, because there are fewer fresh vegetables available then, which is why the during the holidays people often come back to mushrooms. Last Christmas, this was the case again. "According to Hortmann, there is no variety that stands out in its popularity at this time of year. "Around the holidays, we deliver another 200 tons a week more, and mushrooms from the Netherlands and Poland had to be purchased to meet this demand." The high demand and suboptimal cultivation conditions due to the lower quality substrate create a slightly tense market. However, the trade reacts understandingly, according to Hortmann: "The trade is aware of the situation as well and is prepared to adjust its prices." In recent months, the first convenience product of the Deckers group companies, the "Champidelle", was tested by the trade. It is a meat-free mushroom meatball. "The trend goes more and more towards vegetarian and vegan options. In this respect, the product is very promising. The response has been very good so far and the demand for meat-free convenience products is constantly growing." Hans Deckers with his sons Marco und Patrick. 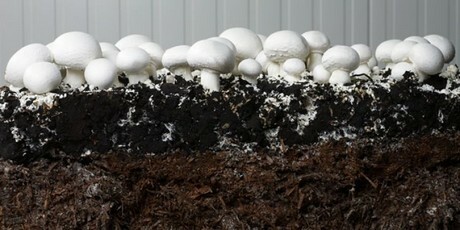 The marketing of the mushrooms of the Deckers Group is handled by the two distribution companies of the group: Rhein-Neckar Mushrooms in Bürstadt (South Hesse), for the federal states of Hesse, Rhineland-Palatinate, Baden-Württemberg, Saarland and Bavaria and the Rheinische Mushroom Headquarters in Geldern in North Rhine-Westphalia and the neighboring federal states. "We value local, fresh mushrooms. What is harvested today will be packaged and delivered the next morning at the latest and will be on the shelves of our customers the day after tomorrow." With its products, the group supplies all well-known food retailers and discount chains in Germany.